The new MacBook Pro comes with two or four external ports, depending on the model you pick. And the new MacBook Air has a pair of ports. But those ports are only of one type: Thunderbolt 3, which is compatible with USB-C. 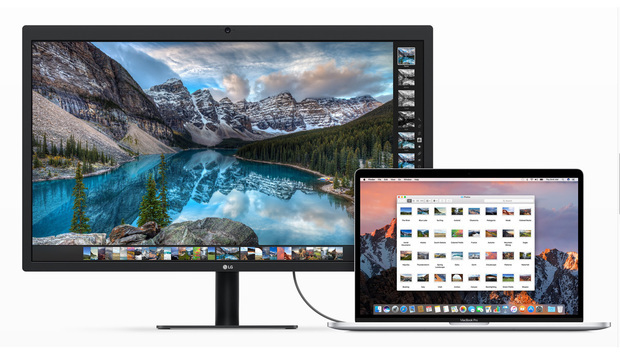 But you probably have devices that use USB-A, Thunderbolt 1, Thunderbolt 2, DisplayPort, HDMI, or something else. How do you connect these devices? With an adapter. If you’re planning to buy a new MacBook Pro or MacBook Air, make sure you set aside a considerable amount of cash for the adapters you need. Apple doesn’t include any in the box, except for a power adapter. Your best bet is to get a combination dock, like the Satechi Slim Aluminum Type-C Multi-Port Adapter ($60 on Amazon). 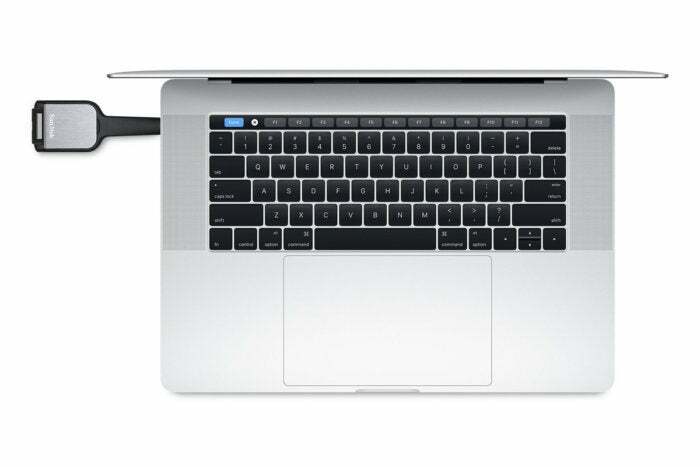 It connects to the MacBook Pro via USB-C, and includes a USB-C pass-through port, two USB 3.0 ports, and an HDMI port with 4K (30Hz) support. With this, you don’t have to carry around multiple adapters. If you don’t want a dock, or you can’t find a dock with the mix of connections you need, Apple or another company probably has an adapter for you. We’ve come up with this guide to help you sort out what you need, and we link to the appropriate adapter in the online Apple Store or on Amazon. You can also use the quick link list below to jump to the info you need. Be sure to check the return policies; sometimes adapters from third-parties don’t work. Read user reviews whenever possible, and read the specifications to make sure the adapter can do what you need it to do. If there’s a connection we missed, or you have advice on what adapters to buy, let us know on Twitter or Facebook. Editor’s note: Prices and availability of products updated on November 13, 2018. The Thunderbolt 3 ports in the MacBook Pro work with USB-C devices, which have the same connector shape. So if you want to use a USB-C device, you can just plug it into one of the Thunderbolt 3 ports. No adapter necessary. Whew. This problem first came up when Apple released the 12-inch MacBook, which has a single USB-C port. You can get a dock, like the before-mentioned Satechi. 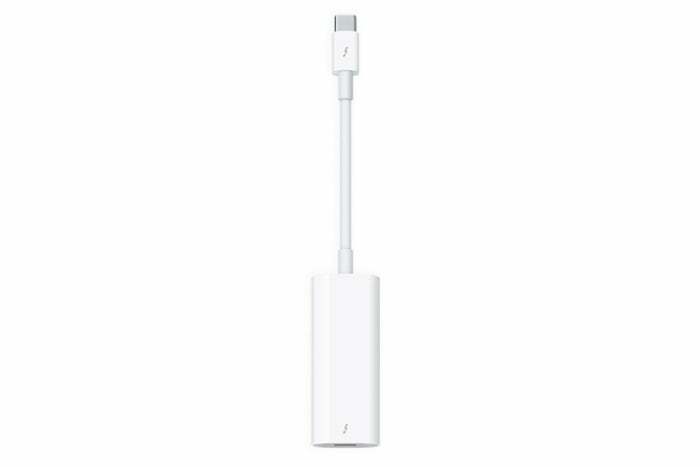 Or you can get Apple’s $19 USB-C to USB Adapter. If you need to connect multiple USB-A devices, get a USB-C to USB-A hub. Anker sells a USB-C to 4-Port USB 3.0 Hub ($16 on Amazon) that provides four USB-A ports. This connector is often used with external storage devices. You’ll need a new cable, like the $17 StarTech.com USB C to Micro USB Cable. The name of the cable is confusing, because it could be mistaken for micro USB (see section just above). But if you check the product page on StarTech’s website, you can see a clear shot of the micro B SuperSpeed connector on the cable, which is quite different from micro USB. StarTech sells the cable in black; if you really want a white cable, you’ll need to shell out $30 for Bekin’s USB-C to Micro-B Cable (USB 3.1) at the Apple Store. If you are still using the USB-A to Lightning (or 30-pin, if you’re using an older iOS device) cable that came with your device, you can get the USB-C to USB Adapter mentioned above in the USB-A section. Don’t want an adapter? Buy a $19 USB-C to Lightning Cable (1 m) from Apple. You can get a 2-meter version for $35 from Apple. As of this writing, it can’t be done. 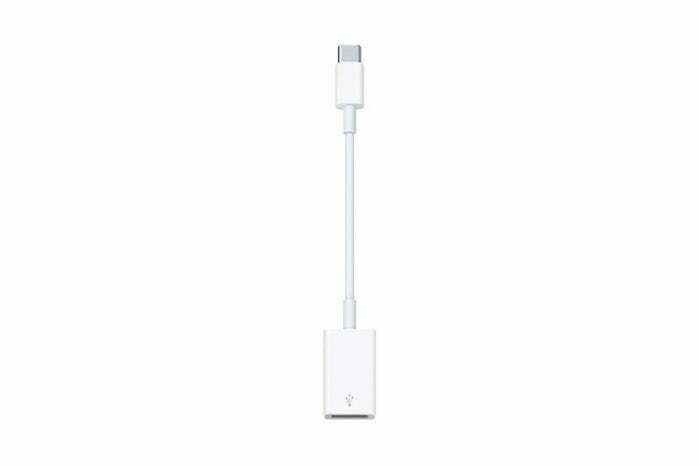 Apple has a Lightning to 3.5 mm Headphone Jack Adapter for connecting headphones with a 3.5mm audio plug to a Lightning-only iPhone. But what’s needed here is a female Lightning to male 3.5mm audio plug or USB-C adapter. Right now, that adapter doesn’t really exist. (Which brings up the whole issue of connectivity compatibility in Apple’s ecosystem.) While you wait for someone to make a reliable adapter that supports audio, you’ll have to use another pair of headphones. You’re in luck. The MacBook Pro comes with a 3.5mm headphone jack. Just plug it in and you’re good to go. That was easy. The MacBook Pro actually has a headphone jack. Really, it does. Now, say you need a second headphone jack. You can use a splitter, like the Belkin Speaker and Headphone 3.5 mm AUX Audio Cable Splitter ($5 on Amazon). Or you can use a USB-C to headphone adapter, like this Motorola one on Amazon for $8, or you can get the $12 Google USB-C Digital to 3.5 mm headphone adapter. If you need multiple headphone jacks, the $14 Belkin RockStar 5-Jack Multi Headphone Audio Splitter plugs into the headphone jack and adds five jacks. Older versions of Thunderbolt have a different connector than Thunderbolt 3. The adapter you need is Apple’s $49 Thunderbolt 3 (USB-C) to Thunderbolt 2 Adapter. At least this adapter is bi-directional. That means you can use it to connect a Thunderbolt 3 device to a Thunderbolt 1 or Thunderbolt 2 port on an older Mac. This one can eat up a chunk of your budget, because there are so many different types of display connectors. Be prepared to buy several adapters. 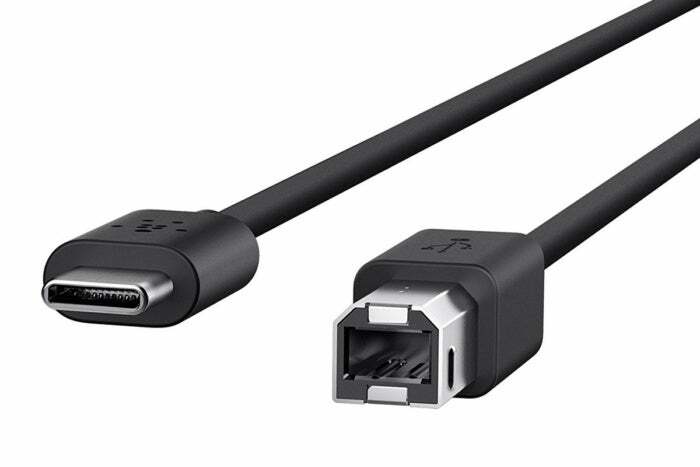 To connect to a DisplayPort display, you need a USB-C to DisplayPort cable or adapter. Amazon sells the Plugable USB-C to DisplayPort Adapter cable for $17, and it supports 4K video at 30Hz. To connect a display with mini DisplayPort, you need an adapter like the Belinda USB C Type to Mini DisplayPort/Mini DP Adapter Cable ($19 on Amazon). 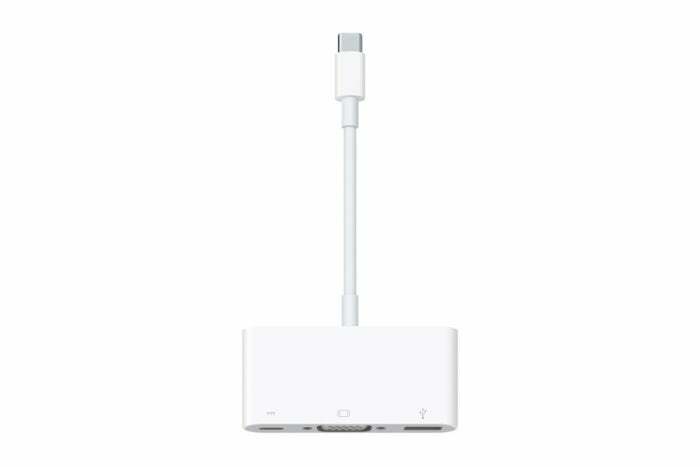 Apple offers the USB-C Digital AV Multiport Adapter, a $69 device that also provides a USB-A port and a USB-C port that’s for charging only. If you don’t want to spend that much, you can get an adapter that’s just a USB-C to HDMI adapter, such as UGreen’s USB-C to HDMI Adapter ($19 on AmazonRemove non-product link). We really like the Nonda USB-C to HDMI Adapter ($18 on Amazon). When shopping for such adapters, look out for 1080p support. The Nonda adapter has 4K video support. Kanex has a USB-C to DVI Adapter ($20 on Amazon). It also has other USB-C video adapters, including a VGA adapter, an HDMI adapter, and a DisplayPort adapter. 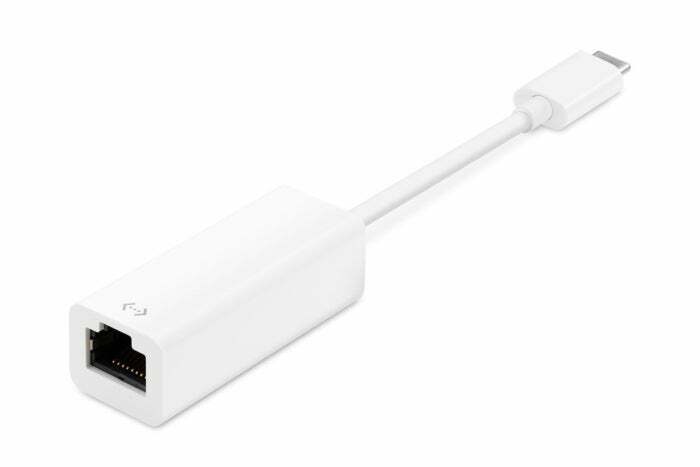 To connect a VGA display, Apple has a USB-C VGA Multiport Adapter for $79. In addition to a VGA to USB-C connection, it also provides a USB-A port for connecting a USB device, and a USB-C charging port to keep your laptop battery happy. On the more affordable side but without the USB ports is the Simple.Fly USB-C to VGA Adapter, which is available on Amazon for $13. You’ll probably use Wi-Fi most of the time, but using a wired ethernet connection has its advantages. To connect to an ethernet network, you need an adapter like the Belkin USB-C to Gigabit ethernet Adapter, which is available on Amazon for $26. If you use a DLSR or other type of stand-alone camera, it might have a way to transfer your files wirelessly. If not, you need an adapter to access the SD card, like the SanDisk Extreme Pro SD UHS-II Card USB-C Reader ($33 on Amazon). 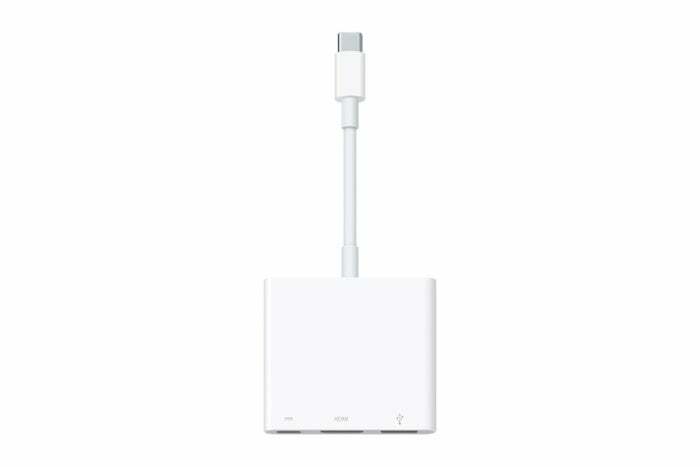 If you have a USB-A card reader, you can try using the Apple’s $19 USB-C to USB Adapter, or get a USB-C dock. Ugh, this one could be a problem. Apple has a Thunderbolt to FireWire Adapter for $29, but it has a older Thunderbolt connector that doesn’t plug into the Thunderbolt 3 port on a new MacBook Pro. You could try daisy-chaining adapters, but that’s always risky and may not work. Plug the Thunderbolt to FireWire Adapter into Apple’s $49 Thunderbolt 3 (USB-C) to Thunderbolt 2 Adapter and then plug that into the MacBook Pro. An alternative (and pricey) solution is to get a USB dock with FireWire. For example, OWC’s Thunderbolt 3 Dock ($364 on AmazonRemove non-product link) has a FireWire 800 port, as well as five USB 3 ports, ethernet, mini DisplayPort, and more. Many printers nowadays have wireless support, so there’s no need for a cable. But maybe you have an older printer, or you find wireless printing unreliable. Most consumer printers have a USB-B port. It’s a squarish connector, much different from USB-A or USB-C. This black Belkin 2.0 USB-C to USB-B Printer Cable is available on Amazon. You need a cable like the one in the Apple Store: the $13 Belkin 2.0 USB-C to USB-B Printer Cable. 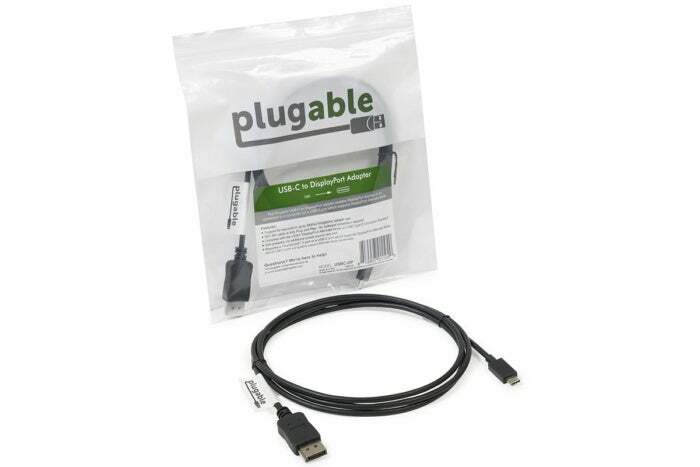 If you already have a USB-C to USB Adapter, you can take the USB-A to USB-B cable that came with your printer and plug it into the adapter. Then you plug the adapter into the laptop. The power adapter that comes with the new MacBook Pro plugs into a Thunderbolt 3 port. Sadly, there is no breakaway MagSafe connector. If you’ve ever had to plug in your MacBook at a coffee shop and had someone trip over the power cable, you know how much of a lifesaver MagSafe can be. But you can still add a MagSafe connector to the new 13-inch MacBook Pro. Griffin’s BreakSafe Magnetic USB-C Power Cable ($31 on Amazon) is a power-only cable that is used to charge the laptop instead of the cable that comes with the MacBook Pro power adapter. It includes an adapter that acts like a MagSafe connector. Our review of the BreakSafe covers how it works with a 12-inch MacBook, but the breakaway connector should work the same way for the new MacBook Pro. However, Griffin specifically states that the cable works with the 13-inch laptop; the company doesn’t say it’s compatible with the 15-inch MacBook Pro. That’s because the cable is rated at 60 watts, and the 13-inch MacBook Pro has a 61-watt power adapter. The 15-inch MacBook Pro has an 87-watt power adapter; that’s more wattage than the Griffin cable is designed to handle.